Ten years of Steam Traction World was celebrated last weekend at the Banbury Bloxham rally – what an achievement and what a scorcher! We are really pleased to have been associated with all the marketing at Steam Traction World for the last ten years – our first job was the logo for this new fledgling company. We have worked on some pretty amazing concepts too, from all the trade adverts and printed material, to the website and social media. We have covered the epic John O Groats to Lands End trip in a steam powered car. We have designed and developed the Christmas animated adverts, complete with original concepts, illustrations and music and built every social presence and ranking from scratch. Culminating in organising the anniversary at Banbury, with a record number of miniature engines appearing at the show, the whole ten years has really flown by. 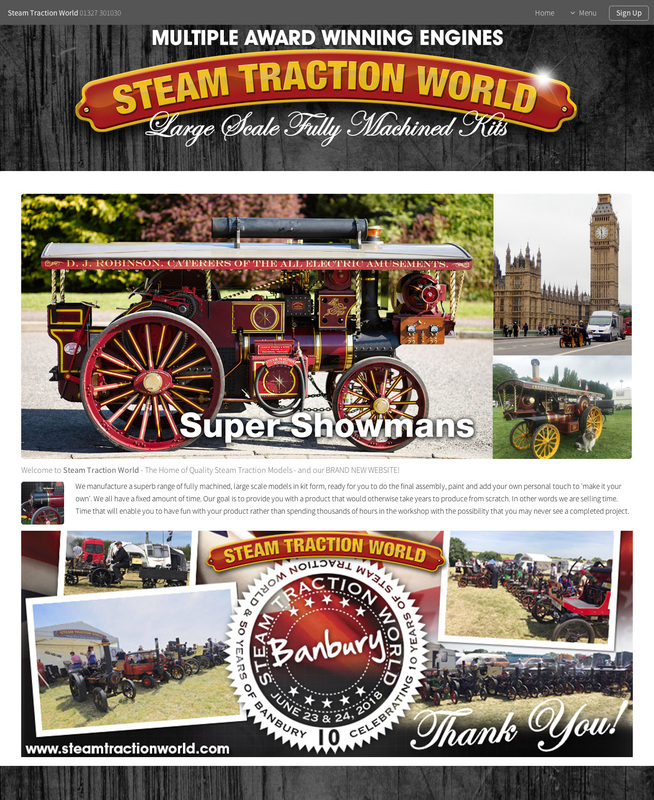 It’s been great to work with Dean, Steve and all the team at Steam Traction World who have made the creative job far easier by enabling essentially carte blanche for the ideas (as long as they were – relatively – sensible and in budget) which, in turn, produced some great campaigns over the years.